FINANCE and Economic Development Minister Professor Mthuli Ncube has been embroiled in another controversial appointment of a Special Advisor, barely two months after his appointment of ZanuPF activist Acie Lumumba hit a snag in October. In the latest gaffe, Mthuli Ncube appointed opposition MDC economist Edward Graham “Eddie” Cross, as his Special Advisor, with Cross supposed to have started work on 1 November, ZOOMZimbabwe can reveal. The latest appointment has reportedly been blocked by President Emmerson Mnangagwa, leaving the Cambridge-trained Finance Minister in limbo. Cross confirmed he was set to start work at Mthuli Ncube’s ministry on 1 November, but was told to hang on at the last minute. “Let’s wait and see what happens next,” he said. Minister Ncube has not responded to questions on the matter. The latest move by Mthuli Ncube was certain to face resistance from hardliners in ZanuPF considering that Nelson Chamisa is contesting President Mnangagwa’s legitimacy in regional and continental bodies, the SADC and the African Union. Cross is a Zimbabwean economist and founder member of the mainstream Movement for Democratic Change party led by Nelson Chamisa. Until his recent retirement from active politics, he was the MDC Member of Parliament for Bulawayo South and the party’s Policy Coordinator General. 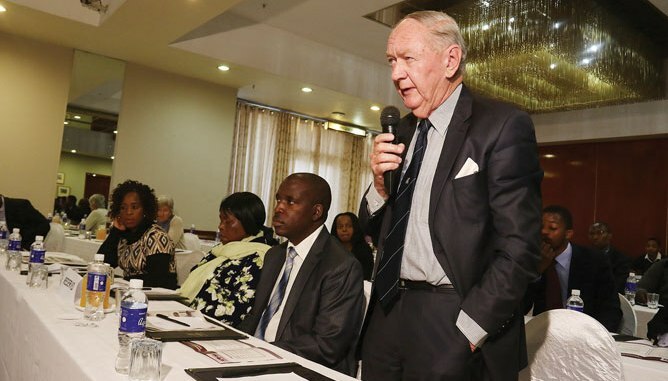 Of late, Cross has published several articles showing he supports the direction the Mnangagwa administration was taking regards economic management. In September, Cross described Mthuli Ncube as a “clever guy”. Cross said there was need for an independent monetary authority to take control and bring the Reserve Bank of Zimbabwe to a solid position. “Exchange control is not working. We are taking productive assets from our exporters to non-productive areas. You can’t ignore the market. I don’t think Ncube will do that. He is a clever guy. He is one of the clever minds in the world. We could be lucky to have him,” he said. In October, Professor Mthuli Ncube had to fire Acie Lumumba as chairman of the Communications Taskforce in the ministry, three days after his appointment. Minister Ncube appointed Lumumba to head the Communications Taskforce in the ministry reportedly without consulting his superiors in government or the Civil Service Commission.